This commentary originally appeared on March 20, 2018, and is being reprinted as part of the Best of 2018 series. Advocates of abortion consistently focus on the liberal/feminist narrative that it is a “woman’s right” to decide whether or not to abort her child. Such people avoid using the words “expectant mother” because such words humanize the baby. This contradicts their goal of death for the child. This is how outrageous the language has become! But what about the father of the preborn baby? As we learn in biology 101, no baby comes into existence without her mother AND her father, unless of course we are talking about the rare asexually reproduced human being. Most people come into being the usual way. Yet those who promote abortion rarely discuss the father or his role, even though the child’s DNA makes it clear that both parents were involved in her creation. 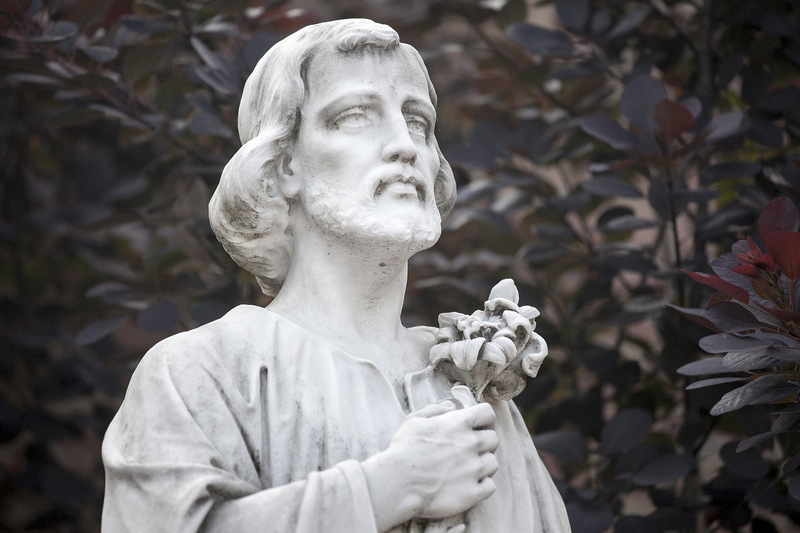 To combat these evil views, we need only look to St. Joseph, the foster father of Jesus. St. Joseph is the ideal example for fathers, particularly in the cultural milieu in which we live today. Saint Joseph, the gentle man who cherished his family and protected them quietly but with strength, is the perfect role model for any male considering marriage and fatherhood. Saint Joseph, the gentle man who cherished his family and protected them quietly but with strength, is the perfect role model for any male considering marriage and fatherhood. In today’s world, while this image of fatherhood is often hard to envision, it should be the standard we pro-lifers uphold when discussing the need for men, especially fathers, to defend the babies and be counted among us in this struggle to protect the innocent. This St. Joseph “Challenge” should be embraced by men, young and old, who understand that it is the family itself—the core unit in society—that must be respected and upheld if we are ever to end this current day vicious assault on the preborn child. Men and women, especially fathers and mothers who have heeded God’s call to cherish family as they follow His plan for them, can light the way out of this bloody chaos in which America is mired. If there was one fact of our Christian faith which needs to be stressed today it is the need for a father in the family. At the center of the social revolution today is the attack on men, as husbands and fathers of families. . . . The result has been disastrous. . . . Feminism is an epidemic that our popes tell us will destroy family life. Abortions are only the most tragic consequence of this plague. Let us reverse this social pandemic by affirming fatherhood in the same way we do motherhood. The St. Joseph Challenge is the first step in calling men—young and old—to renew their appreciation for their role in the family, in the Church, and in this world. Every man can strive to be, like St. Joseph, a man of justice, peace, and love. Learn more about building a culture of life in the family, especially by appreciating heroic dads. Get the facts about the humanity of the preborn child and the blessings of family. Help us end Planned Parenthood’s disastrous war on the family, especially the preborn.